Did Michigan Trigger a Constitutional Convention? From Ed Morrissey at Hot Air, an interesting blurb on the possibility of Michigan having triggered a Constitutional Convention. The state legislature signed on to a call for a federal balanced budget amendment. The relevant portion of the Constitution is Article V, which provides for two methods of constitutional change – the normal amendment process (where we have seen all of the changes to the Constitution come from), and a constitutional convention. A constitutional convention is triggered when two-thirds of the states call for one — it isn’t clear whether this has actually happened (some states have rescinded their call – which may or may not be allowable under the Constitution), or what would be the result if it did, but it is fascinating to consider. 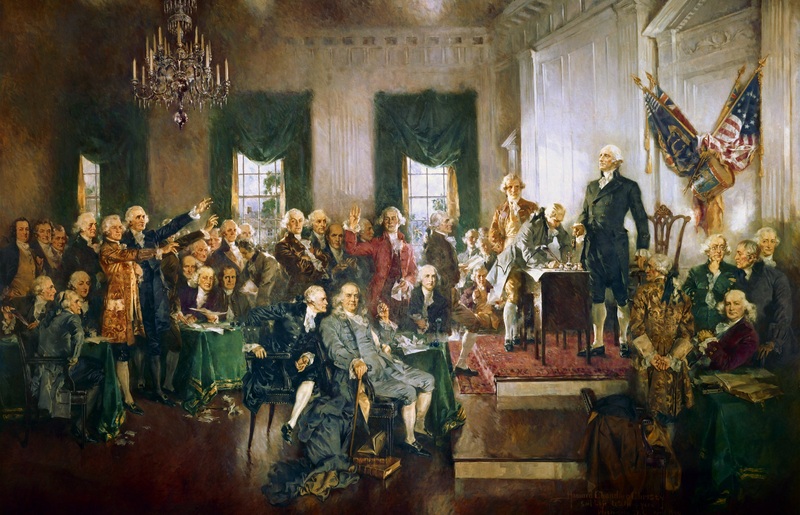 A Constitutional Convention has never been called in all the years since the Constitution of 1789 was adopted. Noted conservative pundit Mark Levin proposed a constitutional convention in his new book. George Will suggests amending the Constitution to control federal spending.